There’s been a lot written recently about the supposed death of the tablet. 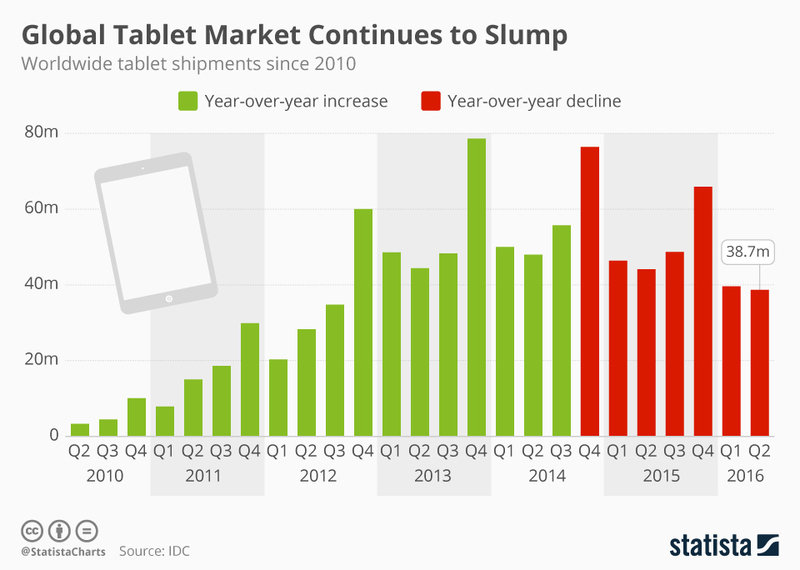 Shipments and sales of tablets have somewhat declined since several years ago, as the infographic below shows. The rise of phablets resulting in less need by many for tablets, or at least smaller-sized tablets. Tablets are more like PCs or TV sets than smartphones. They don’t have to be replaced until they break or something really requires an upgrade. Too many mediocre or outright awful Android tablets might’ve turned some off on the form factor. Some haven’t found a clear use for tablets versus laptops or smartphones. I use mine for reading comics and watching videos. One bright side is the sale of Amazon Fire tablets, running Amazon’s “Fire OS” (a proprietary fork of Android). ZDNet reports that they’ve been the only real year-over-year growth in sales. I’d assume it comes from how cheap Fire tablets are, especially the lowest-end models. Fire tablets also come backed by a full fledged media ecosystem (Amazon Prime Video, Prime Music, etc. ), which gives Amazon post-tablet-sales revenue. Perhaps it also gives Amazon more incentive to support their tablets a bit better, unlike many Android tablet makers. On the high end, the iPad still sells well. There’s also the rise of the Microsoft Surface line. Many PC laptops also now come with touchscreens and reversible, “2 in 1” form factors (the ability to turn into tablet-like devices). As for the future of tablets, some feel it’s a dismal one for the above reasons. However, I think business expectations just need to be adjusted to a more realistic level. I don’t see tablets going away, as they still serve some uses that laptops or smartphones don’t fill. 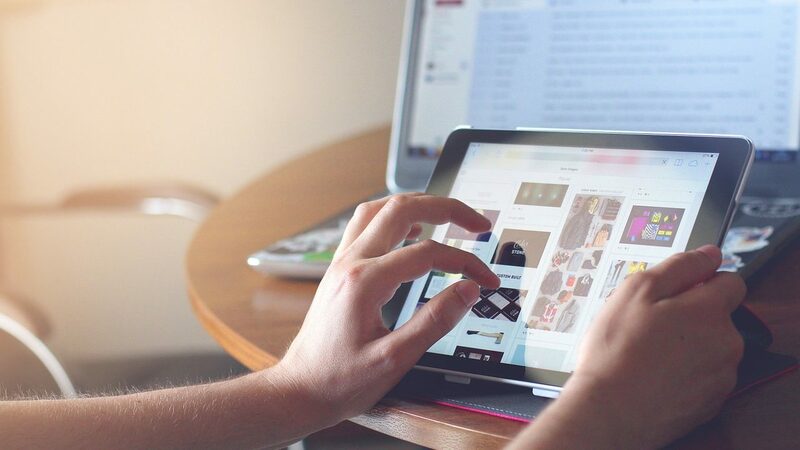 Among tablets’ advantages: they only need WiFi; come with larger screens than smartphones; are lighter than laptops; and make for cheap extra media consumption devices. I don’t need a new tablet right now. However, my next tablet might be an iPad, as it’ll at least get updates for years to come. Unlike my Samsung tablet; Samsung abandoned updates for my tablet some months after I bought it. Granted, they have much bigger hardware problems lately. Do you still use a tablet? If so, for what purposes?